JDC - Archives : A group of people standing wearing arm bands with a shipment to Yugoslavia. 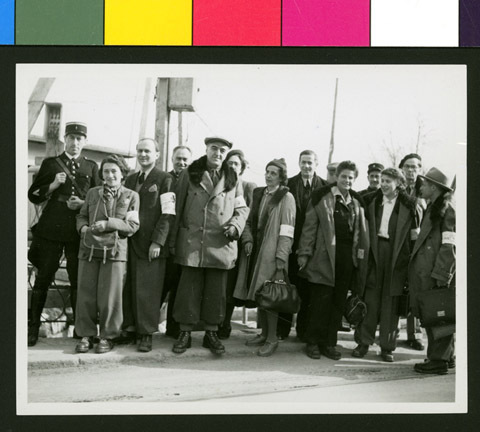 Title A group of people standing wearing arm bands with a shipment to Yugoslavia. Description A group of people standing wearing arm bands with a JDC and OSE shipment of supplies to Yugoslavia.